Vessel, a company that is trying to create a subscription service for web video stars, has received another $57.5 million in venture capital funding. The investment, announced Friday in a blog post by Vessel CEO Jason Kilar, comes a few weeks after the service opened to the public. 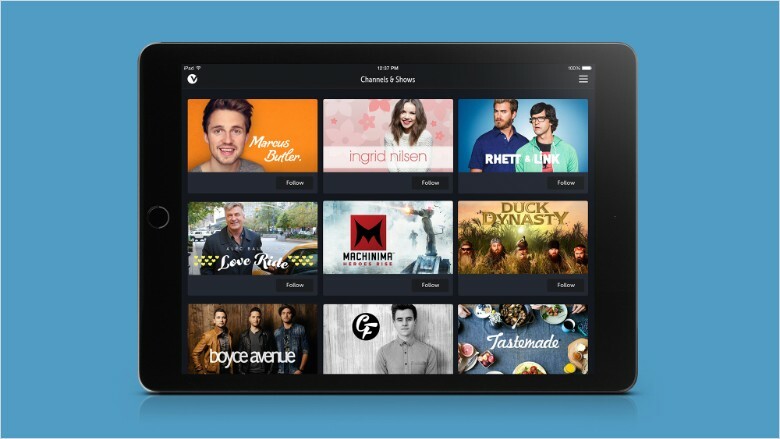 Kilar was previously the founding CEO of Hulu, the TV streaming site backed by NBC, ABC and Fox. So investors and media companies have been paying attention to his new venture. Vessel's pitch is that it solves a nagging problem for the web video industry: how not to rely on advertising to make money. It charges $3 a month for what it calls "early access" to the latest videos by some of the stars. Those stars get a percentage of the subscriber revenue; in exchange, they keep their new videos off of YouTube and other sites for at least 72 hours. Vessel also has immersive advertising, which it says is much more lucrative than the kinds of ads YouTube has. Vessel raised about $77 million last summer as it prepared to launch. Those investors -- Benchmark, Greylock Partners and Jeff Bezos's investment arm, Bezos Expeditions -- all participated in the new funding round. They are joined by one new firm, Institutional Venture Partners. Todd Chaffee, an IVP general partner, wrote in a blog post on Friday that the firm has "been fortunate to back many great companies such as Dropbox, Domo, HomeAway, Kayak, LegalZoom, LifeLock, Netflix (NFLX), Shazam, Snapchat, Supercell and Twitter (TWTR). We believe Vessel has the potential to be as successful as these companies someday." Kilar wrote in a separate blog post that the "investment in Vessel will enable us to grow, as a company and a business, equipped with the world-class team and resources we need to make our visions real." He also mentioned that "thousands of creators" have applied to Vessel -- the service has a hand-picked selection of video makers -- in the weeks since it came online.